Available immediately, this little 1 bedroom is charming, quiet, and clean. It sits on the first floor of an owner-occupied 6-unit building on 29th Street near Broadway in Astoria. 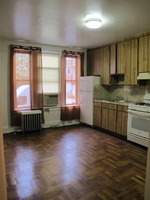 Located on 29th Street off Broadway, just 2 blocks to the N, Q train at Broadway. Door to door, you're just 15 minutes from midtown. It's a fantastic neighborhood, too. Loads of restaurants, shops, gyms, etc. just steps away. The apartment itself offers a large kitchen along one wall of the living room. 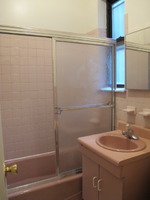 Windowed bathroom. Courtyard-facing bedroom is very quiet and serene. 2 closets, along with a storage area above the front door for luggage, seasonal clothing, etc. Heat and water are paid by the owner, gas and electric paid by the tenant. Sorry, no pets! Contact Maria to view: 347-248-5825.